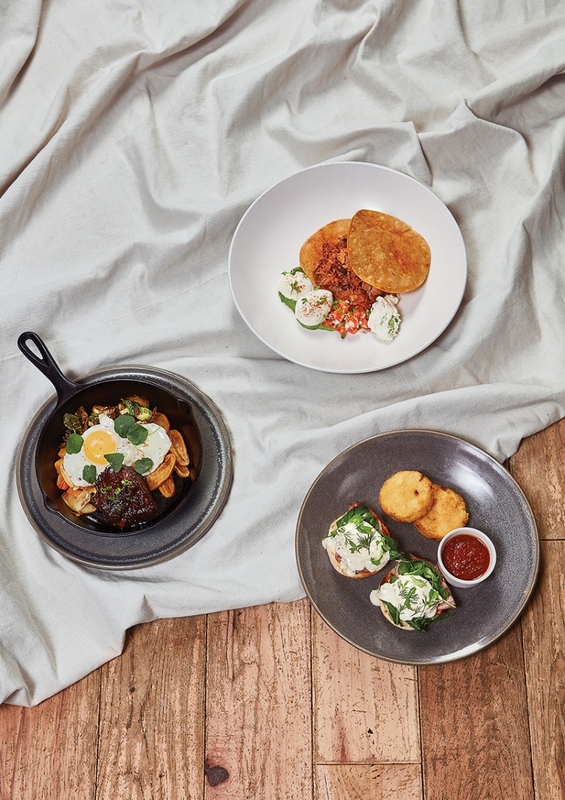 Canteen serves up Braised Shortrib, Huevos Canteenos and Eggs Florentine. Photography Daniel Wood. You can’t ignore the attention to detail when the server brings your brunch plates to the table. Everything on your plate has a purpose. The walnut pesto adds a little savoury edge to your chicken and waffles. The fried chicken is wonderfully moist inside. Order the short rib with an egg, and the meat is so tender, it feels almost buttery in your mouth. And the lemon blueberry ricotta pancakes really push the citrus flavour forward – they’re like mini cheesecakes with warm maple butter. While the brunch plates are ridiculously good, don’t forget to order the corn fritters to share. Crunchy on the outside and so light and fluffy within, they can’t be missed. – S.S.
Canteen owners Frank and Andrea Olson. Branches is an oasis on the outskirts of Sherwood Park. The restaurant is nestled in amongst aisles of flowers and greenery, making you feel as though it’s summer all year round. The menu itself is short but sweet, and each dish is well-executed. The quiche and kale is always a great pick — the quiche selection changes daily, so you can always try something new, and the orange poppyseed dressing on the house kale salad is tangy and absolutely addictive. – A.M.
For seven years, Under the High Wheel has established itself as one of Edmonton’s best places to brunch, all day, seven days a week. Well known among Whyte Avenue locals for its great coffee, the warm and quirky restaurant/cafe serves locally sourced and seasonal meals that satisfy. Try the Waffle Benny — eggs Benedict on a Belgian waffle topped with eggs, hollandaise sauce and your selection of toppings, from smoked salmon to bacon. – C.S. 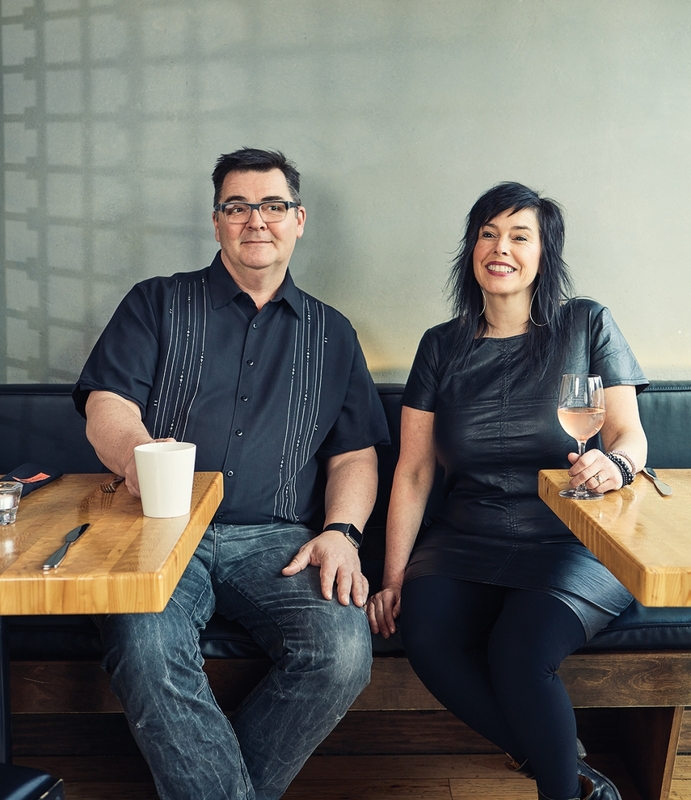 This article appears in the March 2019 issue of Avenue Edmonton.